A fully qualified School Nurse is available on site daily throughout the academic year. Her core role is to care for pupils who are injured or unwell, providing appropriate treatment and if necessary organising further medical management. The School Nurse builds strong communication links with parents, ensuring they are kept fully informed of their child’s care and arranging for the collection of their child from school when required. In conjunction with the Head of Learning Support, pastoral team and academic staff, the nurse in closely involved in offering personalised care. The nurse also offers initial counselling and can advise and signpost students and parents to services that will provide specialist support. The School in conjunction with the Leicester, Leicestershire and Rutland Primary Care Trusts provides a vaccination programme in line with government guidelines. The School Counsellor, Raksha Patel, offers support to students dealing with emotional health and wellbeing issues. 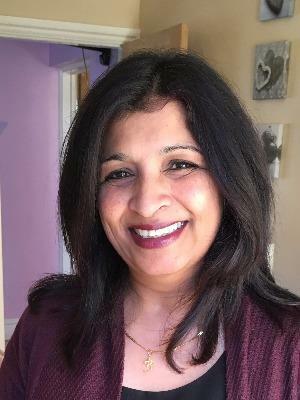 Raksha is a qualified counsellor and a registered member of the BACP with over 13 years experience supporting school children with any worries and concerns they may have. Appointments are made on a referral basis via Nurse Julia, Miss Clapham and Mrs Ewington. Raksha offers a safe place for students to explore their thoughts and feelings by allowing them to talk and be heard while supporting them throughout their school life. All meetings are confidential unless a referral is required to an outside agency. Parents would always be informed if this deemed necessary.